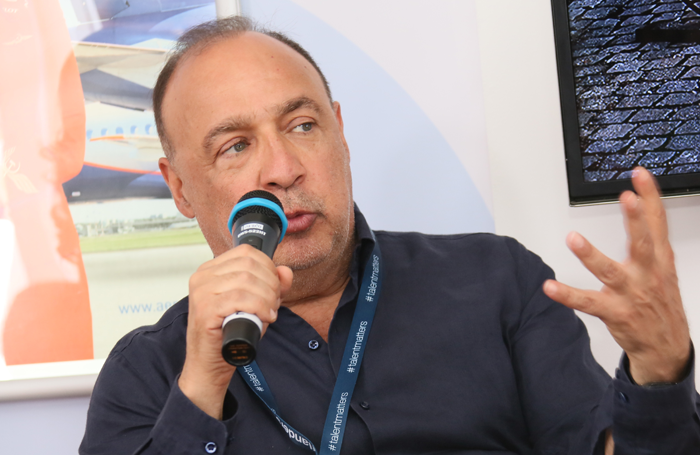 Editor’s View: Leonard Blavatnik – a new face in the West End? It looks likely we will have a new figure joining the West End’s top table in the coming weeks: Len Blavatnik. Sir Leonard Blavatnik, to give the British-American businessman his full name, was number two in last year’s Sunday Times Rich List with an estimated wealth of about £16 billion. He is now thought to be in the final stages of buying the Theatre Royal Haymarket for around £45 million, having seen off rival bids from many of Theatreland’s existing players. The Ukraine-born businessman and philanthropist already has major holdings in the music industry, having acquired Warner Music Group in 2011, and has previously invested in theatre productions on Broadway and in the West End. He was a significant enough investor on the US transfer of Groundhog Day that he received a producer credit. That investment – like the proposed purchase of the Haymarket – was made through Access Entertainment, headed by former BBC executive Danny Cohen. Meanwhile, under his own name – and alongside Chelsea Football Club owner Roman Abramovich – Blavatnik is listed among the supporters of a season of Russian-language work transferring from St Petersburg to the West End. It runs from May 8 to 20 at, you guessed it, the Theatre Royal Haymarket. Presuming the purchase goes through – and my understanding is that Blavatnik has now entered a period of exclusivity with the theatre’s seller Louis I Michaels Ltd – this could mark a sea change for the West End. While Theatreland has many multimillionaires (led by Andrew Lloyd Webber) and one billionaire (Cameron Mackintosh), Blavatnik’s wealth is on a different scale. This is reflected in the sum he appears willing to pay for the Haymarket. The £45 million figure I was quoted is well ahead of its market value – the theatre made an operating profit of £56,000 last year, requires refurbishment and has a 68-year lease – but is a drop in the ocean for Blavatnik. In the context of the $15 million he paid for Damien Hirst’s gilded woolly mammoth skeleton, it might even seem a bargain. As a philanthropist, he also spent significant sums financing the Tate Modern’s recent extension. The deal brings with it uncertainty. What will it mean for the Haymarket? Will it still be run as a traditional commercial theatre? What effect will the price have on other theatre property values? Does this signal the West End going the way of the Premier League, as theatres become the playthings of the super wealthy? And, if so, when will West End theatre workers get football-level salaries?